Favourite quote(s): "Love is the most beautiful thing in the world, do not tarnish it with bigotry and hatred." ^nyahaha~have you watched TTFM MV~?dannia-chan~? Yeahh, I watched it... is a really amazing MV don't u think? Favourite quote(s): "Flying is learning how to throw yourself at the ground and miss." About You: Just ask me about it. Favourite Music: Jpop, Jrock, Rock, A little bit of Metal, A little bit of RnB. 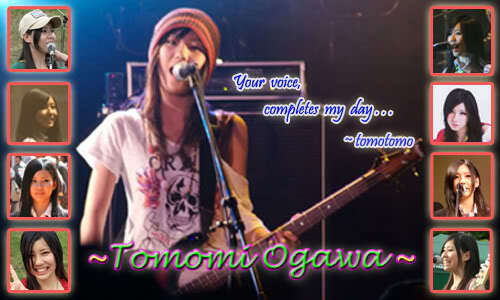 Other Artists You Like Besides SCANDAL: Yui Makino, Orange Range, HaMC, PARAMORE, Back on, Kanon Wakeshima, many more. Favourite quote(s): Can't think of any. hey, where are you exactly from mate? Favourite quote(s): I'll take you on, Anytime, Anywhere(Terry Bogard), Let's get it on!!! Nickname: (The) Fozz, Fozzman, Follytron and the so far undefeated "Timbalina"
About You: Thinks on things too much, rarely acts on them. Reality is whatever you believe it too be. Against racism and sexism (Believes in woman's ability to surpass man). At the end of the day though, it's all about the individual. Hobbies/Interests: Reading (particularly novels), Music, Martial Arts, Computers and related tech. plus most if not all things aquatic in nature. Favourite Music: Well mostly rock, from all over the world, but also other other bits and pieces that I really can't explain my passion for. Other Artists You Like Besides SCANDAL: Top of the list would be L'arc~en~Ciel, having said that, I like most artists that fall into the above. Favourite Movies/TV Show: Hmm well TV show would probably be the short lived "Firefly" series from Joss Whedon. As for movies, there isn't a particular few favourites, but I watched Ong Bak again last night so for now it can go here. Favourite Books: Again, too many to actually be certain of a favourite few, but for now I'll go with "The Dresden Files" series by Jim Butcher. Favourite quote(s): "Boldly going nowhere"
People I'd like to meet: Tomomi and Tetsu, but it would worry me that I have false preconceptions about them. Relationship Status:#1 enemy of girls. no homo. About You: What you wanna know? Favourite quote(s): "When life gives you lemons you make lemonade"
About You: .........6 ft guy. Hobbies/Interests: learning nippongo, sports, study. Favourite Movies/TV Show: Toradora would do. People I'd like to meet: SCANDAL, Hello!Project, Yui Horie, Nana Mizuki, Airi SUzuKi, Haruna Kojima, Sayumi Michishige, Mayu Watanabe and i won't forget RIna Suzuki as my top target. Favourite quote(s): Once admitted to the soul, it becomes a sort of spirit, and never dies. About You: I'm good, I'm talkative sometimes with my friends..
Other Artists You Like Besides SCANDAL: Paramore, Secondhand Serenade, Greenday, etc. Favorite Movies/TV Show: Azumi (Japanese Movie), Anime, any Japanese movies.. lolz.. Favorite Books: I only read manga.. Favorite Food: many to mention, but I eat any food that will taste good. Favorite quote(s): not everything can learn in school, sometimes you need to learn it by yourself..
People I'd like to meet: SCANDAL (Specially Tomo-chan), Paramore, and any good artists.